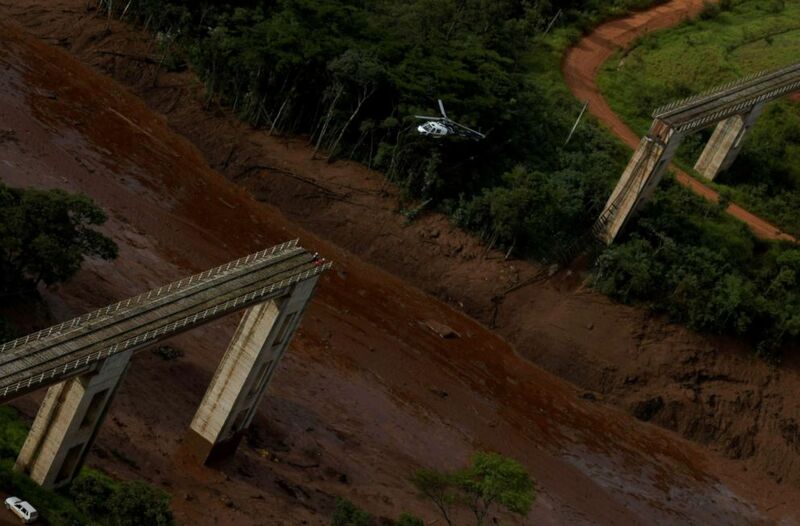 At least 40 people are dead and up to 300 people have been reported missing after a dam collapsed in Brazil on Friday. 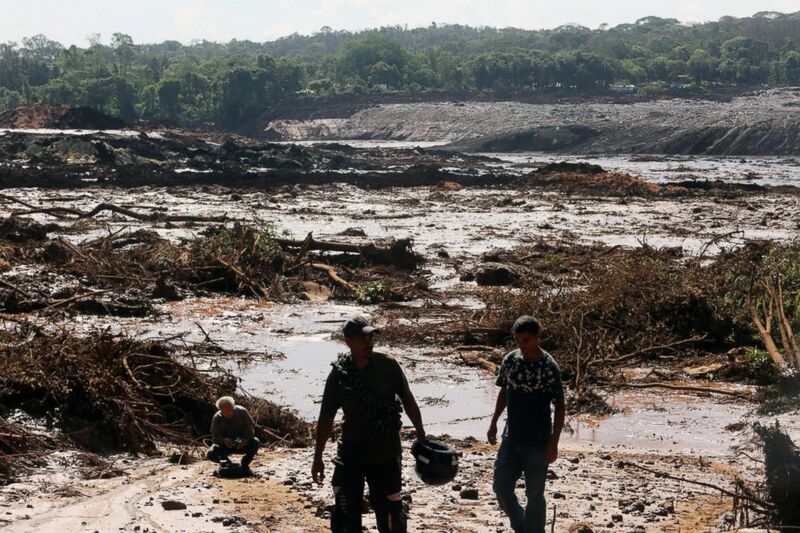 Eight of the 40 bodies have been identified, a spokesperson for the southeastern state of Minas Gerais said Sunday. 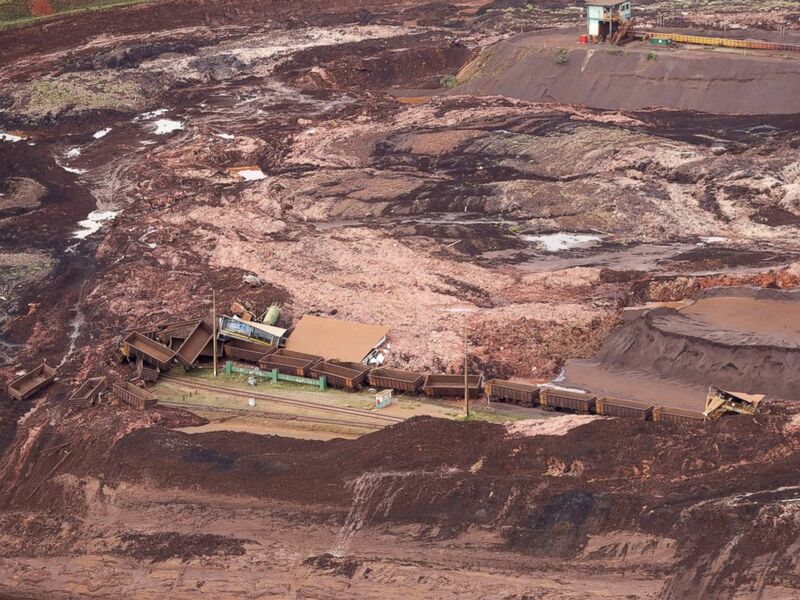 There are still 256 people missing as a torrent of water and mud slammed into Brumadinho, in southeastern Brazil. More than 260 Vale mining company employees are among the missing, a spokesperson said on Saturday. It’s unclear how many have since been rescued. Vale, the company that operates the dam, is the country’s largest mining company, according to The Associated Press. Vale employees were eating lunch on Friday afternoon when the dam collapsed. Rescuers search for victims after the collapse of a dam, which belonged to Brazil’s giant mining company Vale, near the town of Brumadinho in southeastern Brazil, Jan. 25, 2019. An aerial view shows destroyed vehicles and wagons after a dam collapsed in Brumadinho, Brazil, Saturday, Jan. 26, 2019. 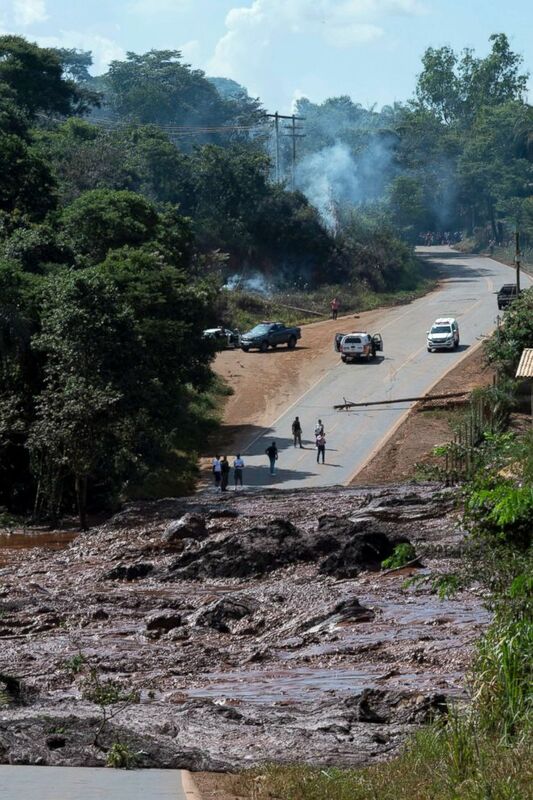 A spokesperson for Minas Gerais state’s Civil Defense said 366 people have been rescued so far. Twenty-three people have been hospitalized, a spokesperson said. 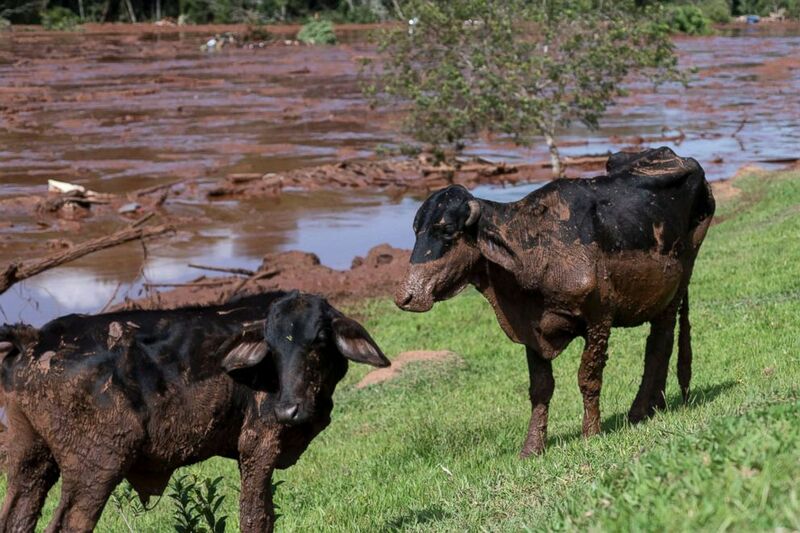 Cattle are covered by mining debris after a mine collapsed near Brumadinho, Brazil, Friday, Jan. 25, 2019. Men walk near damage caused by the breakage of a dam containing mineral waste from Vale, the world’s largest iron producer, in Brumadinho, municipality of Minas Gerais, Brazil, Jan. 25, 2019. 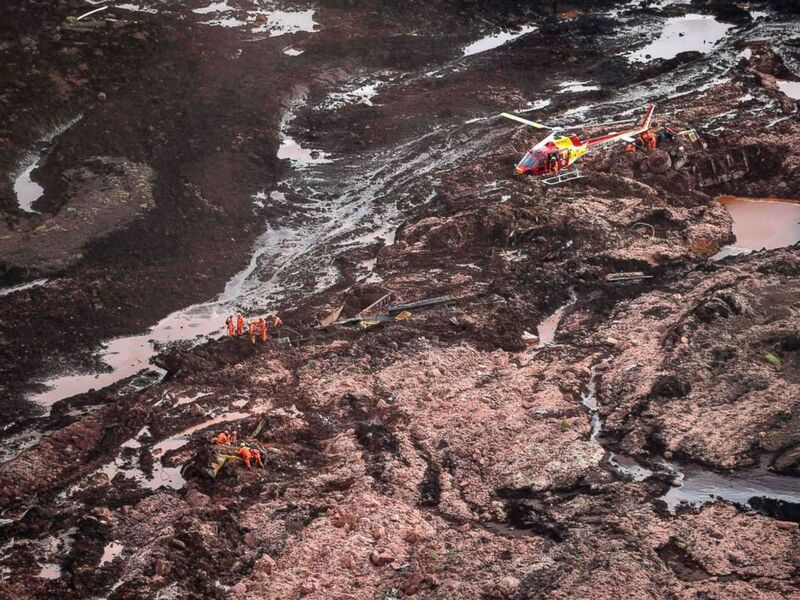 Rescuers have been digging through mud to find survivors. “Part of the Vila Ferteco community has also been affected,” the mining company said in a statement. “Rescue and care of the wounded is being carried out on site by the Fire Department and Civil Defense. There is still no confirmation as to the cause of the accident. “The top priority of the company right now is to support the rescue efforts and to help preserve and protect the lives of direct employees, third-party employees and local communities,” the statement added. A helicopter flies over an area where a dam owned by Brazilian miner Vale SA burst, in Brumadinho, Brazil, Jan. 25, 2019. A road is blocked after a dam collapsed near Brumadinho, Brazil, Jan. 25, 2019. Nineteen people were killed when the village of Bento Rodrigues, also in Minas Gerais, was destroyed when a dam owned by Samarco, a joint venture by Vale and another Brazilian company, collapsed in November 2015. In the wake of that collapse, Samarco has provided $4.4 billion in compensation to the region over the past three years, according to Vale’s annual report. ABC News’ Meghan Keneally contributed to this report.